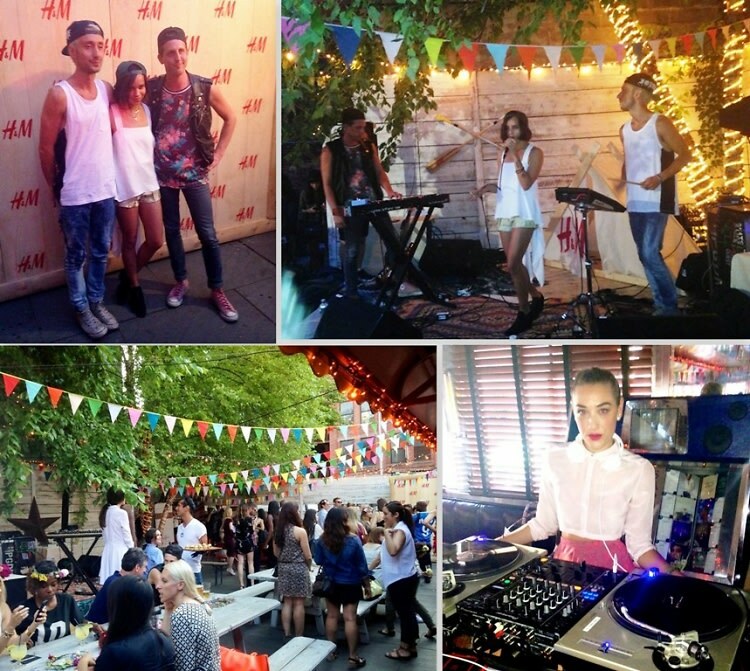 The H&M Summer Camp took place at Cafe de la Esquina in Brooklyn last night. The outdoor party featured a performance by Zoe Kravitz and her band, Lolawolf, as well as music from DJ Mia Moretti. Despite a little rain, guests gathered around the stage, set like a backyard summer party, to hear an awesome set by Lolawolf. Long, wooden tables were set with floral headpieces for guests to sport throughout the evening and in the H&M photo booth. Servers passed around various cocktails, including a 'Summer Solstice' drink with watermelon and lime juice, a 'Field Day' cocktail with ginger and mint, and house margaritas. Appetizers featured mushroom sliders and bite-sized quesadillas. Inside, an H&M 'general store' featured pieces from H&M's summer collection for men, women, and children. Mia Moretti explained that she loves how H&M is such an accessible brand that allows people to really explore their personal style and try anything with their clothes. We also got a chance to catch up with Zoe Kravitz, so click through to read about her summer style, where she likes to party, and more.